Get Connected to the Right People. Today I will talk about creating, and joining groups, and why it is so important. You can create your own groups, you do this by going to the “get connected” button subhead “groups,” and then press the “create group” button, LinkedIn will have you fill out a simple form, and boom, your group is created. Now how can you use that to your advantage? Let’s start with the name of your group, it can be fairly specific. For example if you are looking to get interviews for your book, with people in the Real Estate business. You could create a group name such as, Join This Group If You Are High Power Real Estate Broker, Who Will Do Interviews With Authors. Obviously this gets changed around to your audience, and intention. For example, I represent a great service, that I use, and recommend to other authors, and business owners. It is called the RockUrBusiness, Media Credential Service. It gets authors and business owners cited in major media so that can get the use of the logos of major media, such as NBC, CBS, ABC, and FOX. This service is as close to instant gratification as a service can be. You sign up for it and 7-10 days later you have been cited on all 4 of the major media sights by Top Professional Network Placement. You are sent the links to your quote, and now you can legally and ethically use the Major Media Credentials in everything from, your book cover, advertising, media kits, and social media sites. This gives the Author or Business Owner, immediate authority in the eyes of their current and potential clients. Ok so obviously I love this product, and want to reach people who also may want to use my RockUrBusiness Media Authority System, but you would not just start sending out sales letters to people, so I created the group entitled. Join This Group If You Are An Author Who Is Looking To Get Major Media Credentials NBC, CBS, ABC, FOX. If you are smart, you point them to get a free report, or join your news letter, instead of pouncing on someone to buy, you lead them there, with invitations. This allows your potential client, to get to know you, like you, and trust you. Very important in business, of course. Once they have accepted an “Ethical Bribe” they will be sent to a squeeze page, where you will ask for the gift of their email, and now you can communicate in a personal way, either through email, newsletter, video letter etc. Depending on the way you market, you could ask for phone #, and best time to call. Be careful not to overwhelm them by asking for too much, on your opt in page. Now for joining groups, you want to join groups, especially any group that is near to your subject. Why? Answer is simple, you are allowed to communicate to people that you’re are in the same group with. So you can invite the people of a group, to join your group. That is why the name of your group should be specific. LinkedIn allows you to join up to 50 groups. Imagine how many leads you could get if you were to communicate with 50 different groups. I have now joined a number of Author groups, and send out emails asking these authors to join my group, this works as a funnel system, and let’s me direct my time to the people that are interested, so I am not wasting my time trying to get people that are not interested to buy. Whether it be a service, product, or interview. 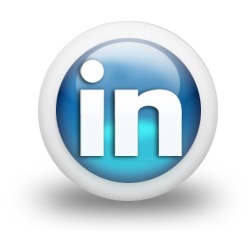 Tomorrow I will explain how getting connected to the right people on LinkedIn will help you get found. Never Give Up, The Answer Is Close. Don’t RackYourBrain, RockUrBrain—Fun Memory Game!